I am about to talk about 3 steps that changed my life. There are many film–metaphors. I use this term because it expresses the concept while a theme unravels. Usually there is one heart to a matter, and around it all other details come together and dissolve. This kind of film is powerful to our learning. This is because they develop “a main theme” of life, showing it critically, but also resolutely. “In Time”: the description of a futuristic reality (not that futuristic!) where instead of money, time is used in exchange for goods. At the bar, a coffee costs two minutes of their life. But recently I saw one which stood out from the rest. A man finds himself “face-to-face” with himself “as a kid”, and vice versa the “kid” discovers what he will turn out like as an adult. 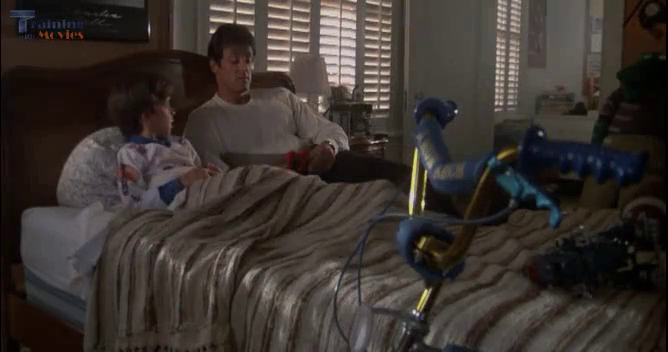 The film is called “The Kid” with Bruce Willis. I personally believe that it hides many things to reflect upon (it is made by Walt Disney, the ultimate dream factory for adults and children). The moment in which the kid discovers that he will not have a dog when he is older, he will not be a pilot and he will not have a wife. He will instead live on his own, be an image consultant and be terribly cynical. These are the results that have been obtained over the years. While I was watching the scene, it was inevitable for me not to think about my dreams that have come true and those that have become lost, blown in the wind by stories that I used to tell myself and experiences that I have had. Just like my enthusiasm for simple and beautiful things: a bright moon, a song, a friend. They are the drugged effects of what has happened to us. The moment in which everything changed. Boom! The cause that generated the change. A telling-off from his father, particularly heavy due to the illness of the mother and his worries for the future of his child. But an 8-year old child cannot interpret it in the correct manner by separating it from himself. He would end up stopping himself and no longer crying in his life. He would end up growing up quickly, putting his “head on his shoulders” and giving up his dreams. Having worked out the reason why several choices made him give up his dreams, the man chooses to change some of the replies, which up until then had been automatic, and start living his life as he had always dreamed it. Imagining it as he would like it to be. In the film he meets up with the third part of himself, the “if future”, happy to have a dog, to have learnt to be a pilot and to have a wife. It is therefore never too late for anything. What about you? Do you need to meet “yourself as a child”? It would be good to take this journey, thinking about 1) what you have always loved and how to reawaken that enthusiasm 2) how to rationalize the causes which have lead you to do other things and 3) finally choosing, every day, for your future. “You can change everything that is going wrong, by appreciating everything that is going right”. The Buddha used to say: “You should appreciate your life while you are working to improve it”. And Willie Nelson says: “When I realized about my good fortune, my life changed”. Nothing is, therefore, more powerful than a “thank you”.